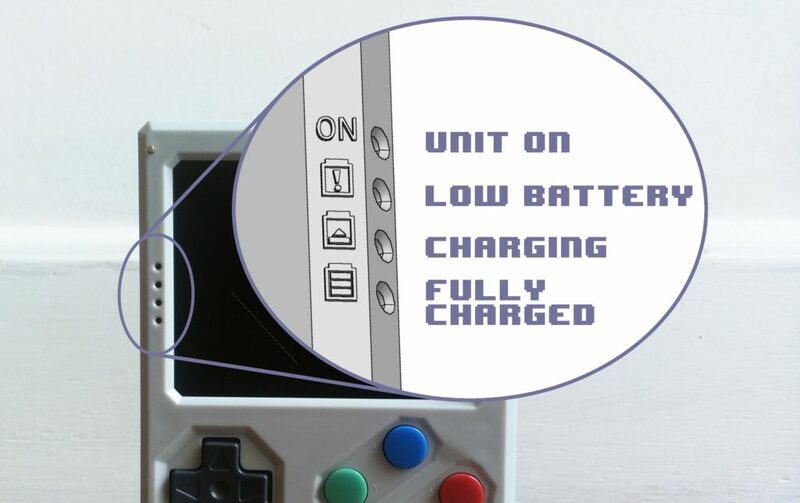 This is because the default theme of retropie (carbon) is really not adapted for small LCD. You can install “GBZ35” or “pixel TFT” themes which have bigger fonts, and better rendering on small LCD. Still the Raspiboy use the composite signal of the raspiboy, so the picture will always be a little bit flickering. But this is mainly in emulation station main menu. In games it should not be much flickering. It’s because emulation station native resolution is for big TV and it does not scale down perfectly. Swisspost – Electronic notification received, but didnt receive the item yet. This is normal, with Swisspost the tracking will update only when the packet arrives in europe. Before that it will show “ELECTRONIC NOTIFICATION RECEIVED”. So the tracking number status should update soon. Germany Tracking say Delivered, but i did not receive the item yet. Sorry about this issue. This sometimes happens with germany. It usually means the packet is at customs and waiting for custom clearing. Probably they will contact you by letter of by the phone. Contacting them directly will speed up the process. There is a red line in screen. This red line and marks are on the temporary protective film. You can remove this film. My LCD / Screen is Flipping, what is the reason? This is because your RetroStone is out of battery. When battery is getting low, the LED2 will turn on (see here LED status), then the LCD will start to go crazy (flip/blink …) then the RetroStone will shutdown. I want Return / Refund. You can return in 14 days. Once we receive the item , we will refund you however you have to bear Shipping expense. Please include in the boxe a paper with your order number and that it’s for a return. Please declare value as 20€ of the packet will be rejected. First please check with your local post office if they have the packet. Then the most likely issue is that the packet is held by your country custom service. In which case they might contact you by letter or phone depending on your country. If that does not help please submit a ticket so we can help to check on the packet. Is your RetroStone having this display first time you try to boot it? 1- Have you installed the operating system as explained in the tutorial? 2- Are you using 8BCraft SD card? 3- Have you formated in FAT32 ? Formating in ExFAT for example will cause crashes/boot problems. 4- Are you waiting for ~10 seconds for LCD to get signal? First 10s it’s expected to have blue/white LCD before signal switch to LCD. 5 – Do you have something connected to USB when that happens? Some power hungry devices might crash the system. 7 – Have you tried to clean microSD with diskpart, format in Fat32, flash again? 9- Are you using a 5V 1.5A charger? Using a 5V 1A will result in battery charging slowly. 10- What version of Retrorangepi are you using? RetroStone version? SLIM, “SLIM PLUS”, or supremeretrostone version? Latest version? 11- Are you turning OFF from software before switching OFF the switch? RetroStone is a computer, if you hard-shutdown directly with the switch you might corrupt your OS. If you did switch off with switch rather than software and have problem since, please try clean SD card, format and reflash. 12- Have you tried to re-download the Retrorangepi image, just to make sure it wasn’t corrupted while downloading? 13- By chance do you have another microSD card to test if it’s the SD the problem? Your screen has a red line like on this one ? This is just the temporary screen protector. You can remove this film by pilling the film by the green rectangle. Alternatively if you prefer the glossy style (without film it’s matte) you can keep the film, you can remove the red line by rubbing gently. And it’s usually possible to remove gently the green tab. LCD is all white, what is the reason? 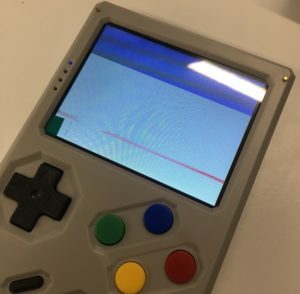 – either LCD is not connected correctly. If the black bar of the connector is not pushed down correctly. – Either the LCD ribbon teared/broke. Can you please check if the LCD ribbon has not broken/teared when you assembled the kit? Also you can check our Trouble shooting faq here. I did not receive any Pi Zero with my Package. Sorry about this misunderstanding but as explained on the product page the $5 raspberry pi zero is not included in the kit. The main reason is because this product is only sold 1 piece per customer maximum by official retailers.